The most trendy styles that will delight your guests. 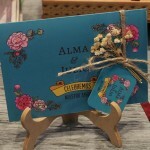 The invitations of your wedding will undoubtedly be a reflection of what your event will be, if you want to announce that your big day will be unique and unforgettable you will have to choose invitations with great style. 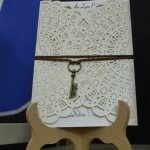 Today we can find a variety of models for all tastes, very romantic styles and other more avant-garde, if you want to find out about the most innovative in wedding invitations, check out this selection specially chosen to find the perfect style for your wedding. 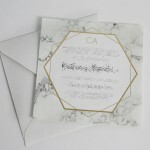 Do you want to show that your wedding will be elegant and distinguished? These invitations will be indicated to achieve it. 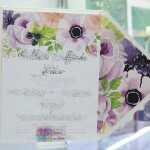 A dreamer touch will suffice for your invitations to reflect the great romance that will live on your big day. 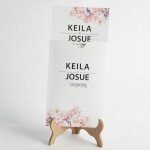 Your wedding will be a traditional style, then this invitation model will be the one to represent your wedding in a formal way. 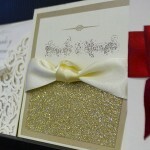 If what you want is for your wedding to dazzle everyone, a touch of glitter in your invitations will be that special detail to give you cutting edge and ad hoc glamor with your event. An alternative and modern show, these invitations can give you that air between vintage-audacious that your event will have. Simpleness that will magnify the total elegance of your event. Something artistic for a dreamy wedding with a romantic and feminine aspect.